Being assertive is about standing up for yourself. In order to stand up for yourself you have to know how to make your voice heard. The key to getting what you want is learning proper communication skills. In this ebook you will learn how to stand up for yourself. 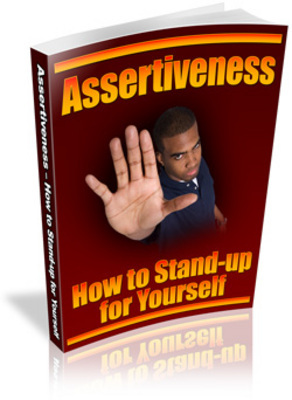 Assertiveness-knowing when you Need to say No with Mrr self help;self identity;self improvement 127572398 3.95 qiqi Fresh Download Available!